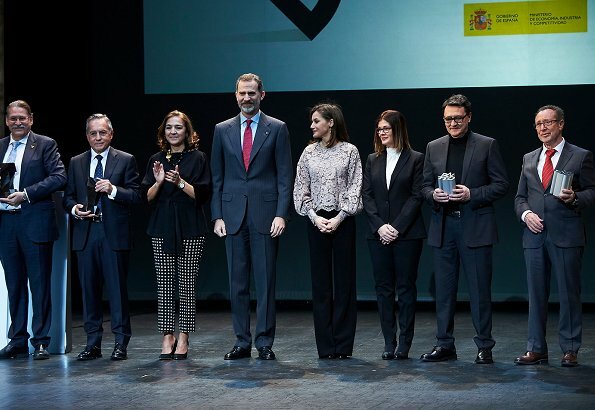 On February 12, 2018, King Felipe and Queen Letizia presented 2017 National Innovation and Design Awards with a ceremony held at Bosque Art Center of Mostoles city in Spain. National Innovation and Design Awards are the highest awards given to companies and professionals brought to perfection in design and innovation. I would prefer the top a bit more fitted and slightly longer. Indeed. Proportions are all somehow wrong. Love her earrings here. This blouse will perfect if it is more fitted and less big. The top would be better if more fitted but I love the colour and the earrings are a great match. Me gusta mucho el abrigo nuevo, pero no tanto la blusa. Así es como se luce un pantalón ancho. I prefer a thousand times Máxima's hair and clothes: she is a REAL QUEEN! Lo que hay que leer... El pelo de Máxima es el peor de la Realeza y su ropa apretada, arrugada, brillosa y con las pinzas nunca en su sitio. Quédese usted con su reina real y deje a las demás tranquilas. Oh nee Maria Máxima is een jetsetter. Wil teveel opvallen. Letitia is charmant een altijd elegant gekleed. 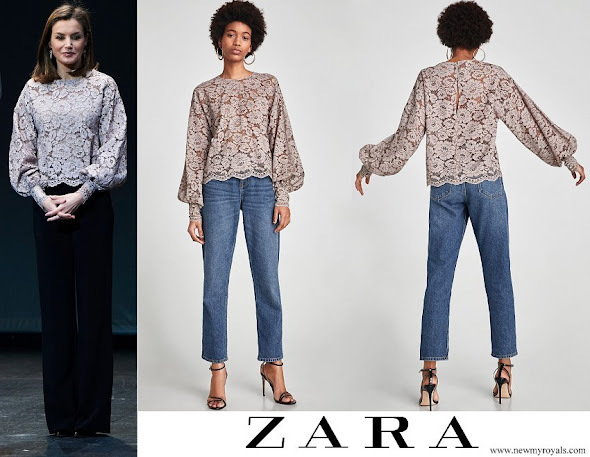 I like the top, but it should have been worn with jeans like on the model or with tight pants, otherwise you will get an odd view. Clearly not her most inspired outfit. But no one is perfect, we’ll put this one in the ‘meh...’ category and hope Friday a better one next time.